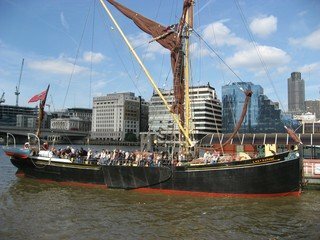 Thames Sailing Barges, with their distinctive red-ochre sails and tall and stately masts are a renowned part of London’s maritime heritage. It is one of the remaining few of these traditional coastal sailing ships. 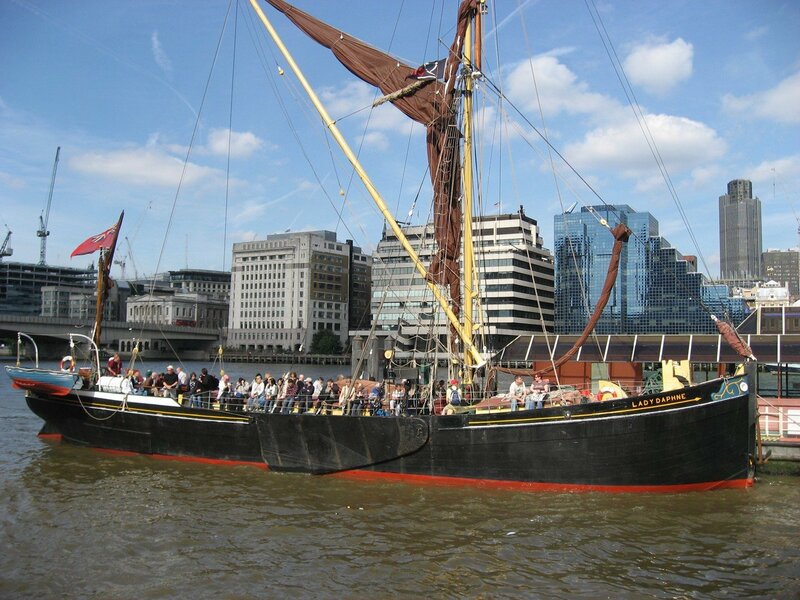 Built in 1923 and use to carry cargo right up until 1973, she has undergone a splendid refurbishment can now be hired for a variety of different events from St. Katherine’s Dock in London. If you’re looking for boat hire in London, then look no further. Embarking from London Bridge City Pier, (Tower Bridge must be especially raised for this boats passage) she heads downriver towards Docklands, The O2 Arena and the Thames Barrier, before returning to St. Katherine’s Dock next to Tower Bridge. On-board activities can involve team-building events, barge matches and even clay pigeon shooting with authentic historical weapons, making the boat a unique venue to hire for events. This boat can also be rented out for 'static' events with a capacity of up to 80. Why not hire this as an alternative to dull and mundane meeting spaces and conference venues and give your guests something to remember and a more stimulating environment. 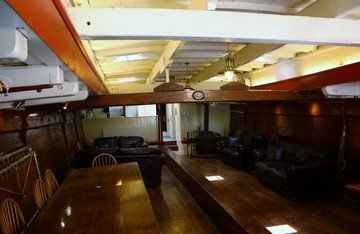 Easily accessible from the City and the West end of London, the boat is perfect for private and corporate events. 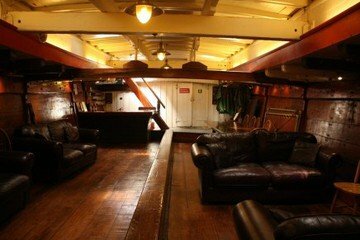 The cabin also serves as a charmingly authentic private dining space and the total vessel has a capacity of 54.